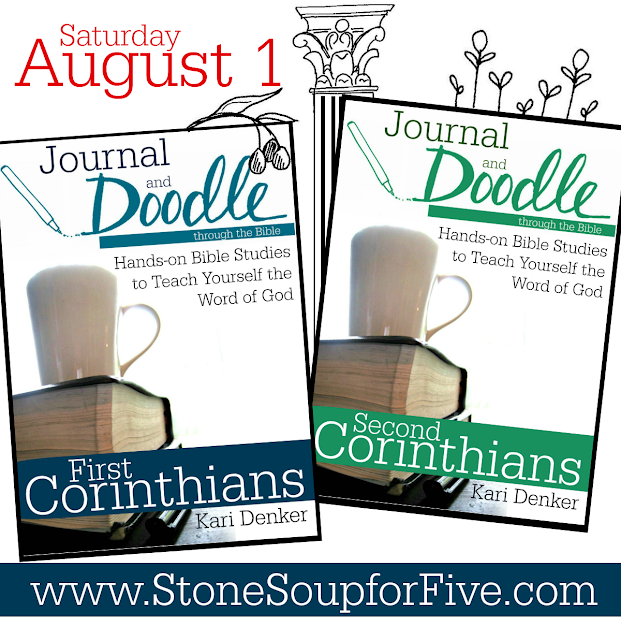 Stone Soup for Five: How to Start a Bible Study Revolution and a GIVEAWAY! How to Start a Bible Study Revolution and a GIVEAWAY! We seem to have accidentally started a revolution of sorts and I'm not really sure how. I didn't mean to create a "new and exciting" kind of thing because I'm not a "new and exciting" kind of person. (I wanted that in high school when it could have meant something!) My blog is not poetic. My posts are inconsistent. I rarely make any promises that following my advice will change your life (in just five steps!) On most days, I can’t even manage to keep my punctuation in place. Thank you, each one of you, for your amazing support. Thank you for your kind words, your encouragement when I'm struggling, and the pictures you send of what God is teaching you through these studies. I truly CANNOT wait till we get to be together in heaven, sitting next to the glassy sea hanging out together. We will never even begin to reach the end of talking about all the wonders of our Savior. Because you have been such an awesome part of the revolution, I don't want any of you to miss out on the brand new studies through 1 and 2 Corinthians, coming Saturday August 1st. I'm giving away a free copy of both, a day before you can buy, on July 31st! If you'd like a copy, please enter the drawing below. Thank you so much for being such great readers! Enter to win both Bible studies a day before you can buy them! This giveaway is open to United States residents, ages 18 years and older only. Giveaway ends at 11:59 PM (ET) on Friday, July 31. The winner will be selected at random using Random.org via RaffleCopter. The winner will notified via email and have 72 hours to respond. You must enter a valid email address to win. In the event that the winner cannot be contacted by email or does not respond within 72 hours, the prize will be forfeited and and alternate winner selected. This sounds great! Especially for those who love to draw. Let's dig deep! I think tweens especially (I have two) would really enjoy this form of Bible study, and that in itself is revolutionary! I'm excited for this. I can't wait to get my boys started. I am sure they would love this type of learning. I just discovered your devotionals through WUHS - I love this concept and I think my kids will love it too! My oldest daughter and I have just over the past few months became enamored with doodling so this is the perfect fit. My children love to draw and I love the idea of engaging their minds in the Word a bit more than just hearing me read to them. My middle child learns very differently than my oldest and she loves to draw so I think this would be great for her. I have completed several of your Bible studies so far and love them. I have learned so much from digging into the word and doodling. I am a visual learner so these are perfect for me. I have completed Ephesians, Galatians and Colossians/Philemon. I would love to do the Corinthians as well. I want to be part of the revolution that gets people reading the Bible for themselves!!! I have not been able to put it down since I first picked it up. Let's do it!! I just started the Ephesians study and I love it! It is always refreshing to change things up a bit. Thank you so much for following the Lord's leading. This country is going the wrong way. We were founded on In God We Trust and now God is being eliminated from everything. We need to get Him back in where ever we can. Bible study is a great place to start. We need to get every age group involved in Bible study and have a Jesus Revolution. These are great Bible studies I just love them. and I think that they would be great for every age group. I just discovered this site and love the idea of doodling and journaling our way through the Bible! I am amazed at your creativity! Thank you for sharing your inspiration! I love this! I've never been artistic, despite my best efforts! I would love to do this with my kids! this whole concept has given me a renewed love for studying His Word--thank you! I'm a MOB Mom (mother of boys) and my revolution is raising four young boys to be Godly men. I was looking for a different kind of study from the question and answer type.journal and doodle really getto the heart. Thank you! Loving your site, found through Pinterest! I was seeking a way to better my relationship with our Lord and this was it! Thank you for all you do. I come from a family of Christians AND artists but I didn't get the artistic talent...still, I try ;) And while I try, I learn so much! I'm part of the revolution because I was missing something important--time in the Word. I am part of the revolution because Gods Word is what this world desperately needs and Biblical poverty is a real thing. I love the other ones and am looking forward to these new ones! I stumbled upon your bible study while look for new ways to dig deeper. Looking forward to starting it. Found your blog while researching bible journaling and I love it. I've started doing a little doodling in my own journaling and it has really changed the way ininteract with the word. I love it! I am currently doing the Ephesians study. I am teaching the method to my children as well. I hope to learn to do it on my own once I have done several of your guides. I am looking forward to doing this study! Seeing the journal pages done by others from the Ephesians study has been inspiring and looks like something I can do! Love learning new and interesting ways to study the Bible and in turn get closer to God. Thank you for the work you put into these Bible studies. i love the guidelines instead of the specific q&a format of many other Bible studies! I love Corinthians, this will be such a terrific study! God is using you to reach so many of us, and that is exciting to see. Bless you and your work! Love your studies. They are simple, refreshing and creative. Thank you for following his direction and offering this great tool to study His word! I would love to be part of the Bible Study revolution, especially with my kids. I think that journaling with art and doodles can really add to the bible study experience. As we "do" as we read we tend to retain more and I these studies do just that! Last year, I discovered bible journaling and creatively documenting my faith. It's opened up a whole new world for me, and is a new way to grow in my faith and to grow closer with the Lord. I'm excited about discovering your bible studies! I'm excited to try out this bible study! I've ordered great books to work through but then don't make it through them. Hoping this format will be what I need. Love your studies and excited about these 2 new ones. Thank you for sharing your idea on the drawing out of the Bible chapter! I LOVE this idea! I was literally just talking to my kids yesterday about how important is to use the left side of the brain and the right side of the brain! This does that! Thank you! I am excited to try this with my 3 kiddos (age 9 - 14)! I am part of the revolution because I am learning to listen to God and not the world. Personalizing and making Bible study fun is helping me. I need to stop procrastinating and just start as well. Would love to win this to get me started! Teaching does teach you so much. What an amazing subject to grow in- God's word. I love the way I see new things when I am doodling. Let's ALL grow together so we can serve the Lord better! I'm part of the revolution. As a pastor and mom, I get to pass on the insights and creativity from these studies to my children - both biological and spiritual. Love all your work, Kari! Can I ever relate to #3 - procrastination! My biggest challenge is paper work. I detest it, but I also can get a lot of cleaning/organizing while avoiding it. The problem is that the papers don't go away! Where's the Paper-Filer-Fairy? I didn't even know this blog was out there but a month or so ago I found it! I am certain it is not by accident. So I printed the Ephesians study and joined the Revolution. It has been amazing. Along the way, as He often does, the Lord was leading me to spend some time in studying about spiritual warfare - just as I was finishing Eph. chapter 5. How amazing that Eph. 6 was of course the next chapter and there in front of me was the armor of God. I have finished the Ephesians study and am working on a little more spiritual warfare studying - using some of the tools I learned with the doodling and journaling study. I'll be ready for the next one soon. I'd love to win it. That would be an awesome surprise. I think my previous comment disappeared. Pardon if this is a duplicate. Thanks for sharing this great resource. I just downloaded the Ephesians study and I'm excitedly digging into the map. I love cartography and putting things into context. Looking forward to digging into the rest of the study. I am doing my first of your studies using the book of Ephesians. It has been so much fun and I look forward to coming back to it every time I can. I love how the doodling and the guidance given for setting up journal pages has really helped the Word of God to sink in as I study. I think my brain really needed that connection. I now look forward to adding this form of Bible study to our homeschool. I am so looking forward to the Corinthians study so I have more to dive into when I am finished with Ephesian. I'm working on the Ephesians Bible study after recently discovering your blog/studies. I really love it, and it's helped me be excited about Bible study and really dig in. I just printed the Ephesians study and I'm excited to check it out! My middle school kiddos LOVE to draw and create, and while I'm not an artist by any means, I'm really excited to join them! Thanks so much for taking the time to put these studies together! Your studies inspire, encourage, and spur me on to dig into the Word. Thank you. I'm excited to use your Ephesians study with my kids. I think that incorporating creative means into Bible study will help bring deeper understanding and aid in retention, plus it's fun! Thanks for sharing your doodling study method and ideas!! Looking forward to the new studies! Sounds simple and useful. Looking forward to doing my first doodle journal Bible study. An engaging way to study the Lord's Word. Unique! 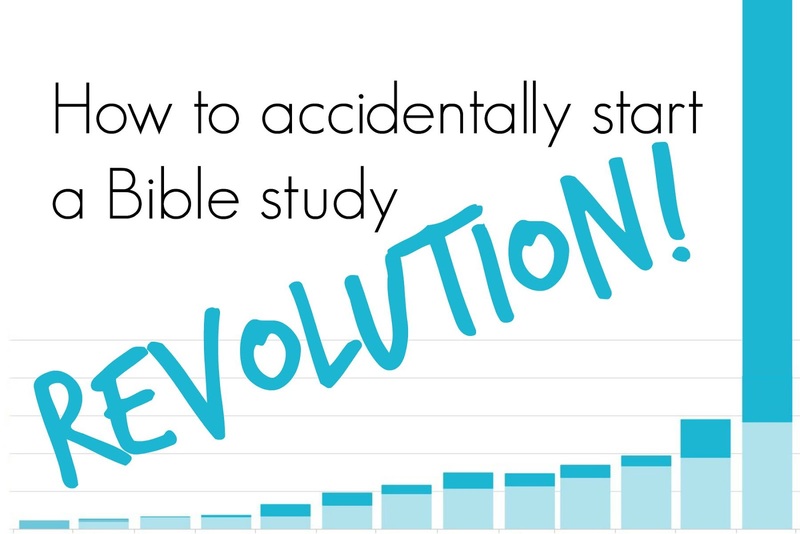 This has been a revolutionary way to bible study. Something I can do by myself (though I've already told a few friends about it). Thank you Kari! These studies have helped me learn and remember so much more from what I learn. I love the idea of incorporating art as a method to hide God's Word in our hearts!! Thanks for hosting this giveaway!! God is using you in a mighty way! I can't wait for the next study! So excited to use this type of Bible study in our homeschooling. This looks like a fantastic study! I stumbled upon your site and found a study that finally clicked with my spirit. So much so, we're soon starting this with the high school/young adult girls at church. Praying they love it as much as I do. The idea of using creativity/drawing to reinforce God's work just strikes a chord deep in my heart. I like that your way appears to be fairly non-intimidating! You are an answer to prayer!!! I have been wrestling with what to do this year with our 4 school age kiddos ( and 2 little tag-alongs!) and I stumbled upon a giveaway and found my way over here! Praise the Lord :) Am looking forward to trying this with my own study time and then with our kids for homeschool! I love the idea of drawing AND not being complicated! I can not wait for this to come out Aug 1st....I love the Ephesians study. By drawing what I learn, I'm remembering more than ever; the visual imprint works better in my brain! I have loved the Ephesians study, and it was my first time to get into doodling and being creative. I've learned alot and really enjoyed it. I just left church camp 2 weeks ago and I am still on fire. I am such a visual learner and doodling God's word helps me so much!! This is something I want to learn to do. I hope I win! I have become a part of this revolution because I knew that I needed to do more then just read God's word, I needed to dig deep into it and your studies have helped me do just that, thank you! God has been speaking to me all summer about really getting the word into my kids this school year more than previous years. I happened to stumble across your blog and am going to try this this year. I just love how the finished product looks and is easy to go back and read. Coincidentally, my name is Kari also, spelled exactly the same. I just started the Ephesians study and I'm loving it! Can't wait to get to all of the others! I'm part of the revolution because I want to see myself and other women become excited about studying the Word of God. I am just starting the Ephesians study. I love studying the Bible, digging deep into God's Word. I also like to share God's Word with others. I also believe that we need to be more grounded in the Bible as believers so that we can be a witness, salt and light, instead of fitting into the world. I am looking for a way to study that will engage both myself and my two daughters. They are both beginning to discover a love of doodles, so these would be perfect! Ephesians has been great. I look forward to doing more with your studies. It's funny sometimes, God's timing. I had been struggling with how little I really know about or read the Bible and how as a homeschool momma I want my kids to get that knowledge NOW while it is still under my control. So this artsy momma started working on a journaling method for studying the Bible, one I could use on my kids and carry over to our Sunday School class. That's when I found StoneSoupForFive. And there it was, exactly what I had been working on! Now when I talk about Bible journaling, besides giving my take on it I also point people to your Bible Studies. So funny, the way He knits us all together. Looking forward to your new studies. I'm glad to see so many comments, that means more and more people are discovering your Bible studies. So looking forward to the new studies!!! So excited to find your website/blog!! I have been mulling over the idea of Bible Journaling for a little while and now I cannot wait to get started! I find myself looking back over my notes more when I journal doodle. My kids are now grabbing my journal and trying to copy from it. I just finished the Philippians study and am starting Ephesians. It has been a really helpful way to increase my meditation on the Word. Thank you! I am part of the revolution because we need to read and follow God's Word. I am just interested in studying the Bible more. Not just reading it but really studying it and understanding it and applying it! I want to know God's Word deeper , and study it in a way that sticks in my head - pictures do that. I'm thankful for your resources! My husband and I do these studies together and we LOVE them! Neither of us are "creative" people, but these studies present ways for us to study God's Word at a deeper level and to really consider our lives and our relationships with God and His people. I am such a bad journaler! I'm hoping that the doodling aspect of this will help! I am not familiar with entering how I enter a valid email? LOL, I'm goofy, I have two, one google I never remember and one yahoo.com I do. claytonrk@yahoo.com. On FB I am Kim Clark Clayton. Love your studies - such good encouragement and accountability. Being able to start with a great idea to dig deeper in the word is refreshing. I want to continue applying God's word to my life - and encourage my kids in that as well. Putting it down on paper will make it stick more - thanks for all the ideas!! I love how the studies add to my time spent with God. I love being able to go through the check marks then if I have time to dig deeper. What a great way to journal your notes!! My Bible study time needs something fresh and revitalizing! I am excited about this new way of journaling! This is something that I and my kids would love to do together! Using the Ephesians study for getting back into routine of beginning my day with God and mentoring two gals on how to do the same!! These studies look amazing! Thank you for the chance to win! My daughter has asked that we study the Bible more this year in our homeschool. I think your journaling program would fit us great!